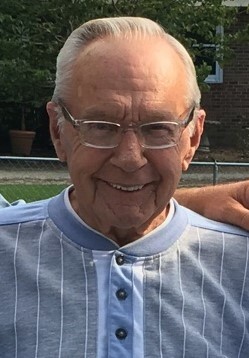 Richard A. Gustafson, 78, of Silvis passed away Saturday June 23, 2018 at Aspen Health and Rehab in Silvis. Funeral services will be 12 noon Wednesday at Schroder Mortuary in Silvis with visitation 1 hour prior to service time. Burial will follow at Rock Island National Cemetery. Richard was born Aug. 15, 1939 in Moline, IL the son of Arvid and Erna Gustafson. He served in the Army and later worked as a roofer. Richard enjoyed fishing, going to the casinos, traveling and spending time with family. Survivors include his children Theodore A. Gustafson of New Bern, NC; Thomas (Jill) Gustafson of New Bern, NC; Tim Gustafson of East Moline and Todd Gustafson of Rockford, IL; 13 grandchildren; 10 great grandchildren; brother Rodney Gustafson of Phoenix, AZ and sister Linda Czupka of East Moline. Richard was preceded in death by his parents and a great granddaughter Isabella Starofsky.